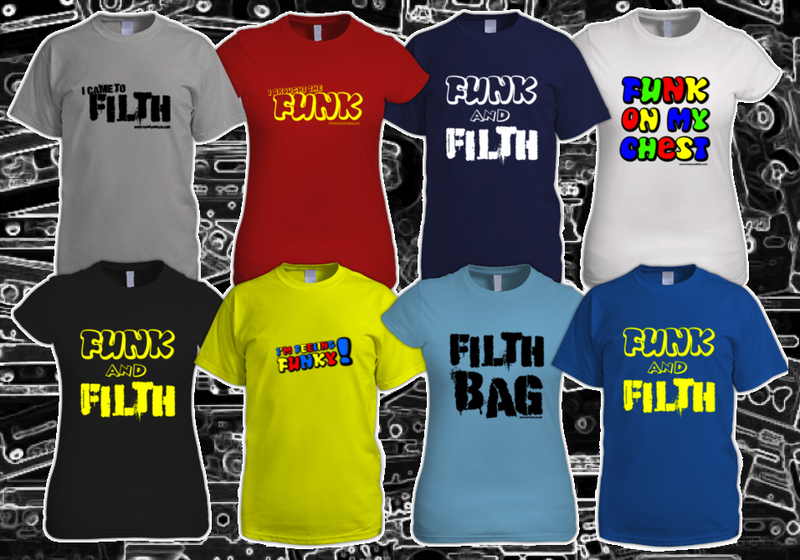 We're currently embroiled in the awesomeness that is the Funk and Filth Hall of Fame, but that doesn't mean we've neglected our duties to you! So we've still gone and rounded up some of the best beats that December 2013 has to offer! Check out the array below, and enjoy! This month we've got free music from Dirtyphonics, Jaguar Skills, Beat Breaker, Sigma and loads more . . . get stuck in!! Right, we're starting off with a little peak at the best Christmas present you're ever like to get! We've teamed up with The Dirty Rich, who are going to be releasing this three track EP for you guys on Christmas Day, and the FREE DOWNLOAD is going to be available EXCLUSIVELY here on www.funkandfilth.com! This is some proper tasty dubstep/drumstep warfare here, and is exactly what you're granny will want to hear while she's eating her turkey and sprouts!! Check back on Christmas Day for your free download link! Also on Christmas Day we'll be bringing you the official funkiest and filthiest people on the planet, as we reach number 1 in our Funk and Filth Hall of Fame Countdown! There are FREE DOWNLOADS every day throughout December, so get involved now! The fan-funking-tastic Doctor Hooka has spanked out this awesome exclusive free mix to celebrate this year's #FandFHOF! Who wants some of this??? This absolute banger is Mooqee's latest DnB re-rub and it is liquid gold weekend party fodder!! Click here to grab the FREE DOWNLOAD via the Bombstrikes Youtube channel. One of the biggest, baddest mixes we've heard in a while smashed into our eardrums this week thanks to the Dirtyphonics. This is some tasty stuff, and a FREE DOWNLOAD too! Safe. The awesome Beat Breaker is doing his thing in his musical laboratory, fusing together some deliriously tasty mashups and a fresh mix of our listening pleasure! They're all free to download via his soundcloud too! A very welcome treat in the Funk and Filth inbox arrived courtesy of producer Ian Holmes! He's just unleashed his basstacular Hotter Than Congo EP as a FREE DOWNLOAD for you fine citizens of Bassland! Walk On Bye and Hotter Than Congo are the stand-out tracks in this little beauty, and definitely give his recent dubstep roller Keep Me On Your Mind a thump out through some speakers with a bit of menace to them! Big stuff! The ludicrously badass stylings of Mr Jaguar Skills have been on show again this week, with this stomping new mix featuring Virus Syndicate. This mix is the pre-cursor to the Virus Syndicate Album "The Swarm" coming 2014 which will be followed by a massive UK Tour - get a little taster in the video below. One of our favourite DJs (Leygo) had a guest mix on one of our favourite radio shows (Fresh From The Sewer - Kane FM), and as you can guess, it was pretty damn good!! The legendary Jem Stone has shown the love with another FREE DOWNLOAD, and this one is like nothing else you're likely to hear . . . in a very good way! Have a listen to this haunting new track. Established Funk and Filth favourite DJ Chamber has been flexing his remixing muscles again recently, and Rodney P got the Chamber treatment this time around! The result is damn fine! Warehouse Wax has had a strong year so far. Releases from Odeed & Wish, Madcap, Pressa, Sanxion and of course the Massive single and video from Austin & Vinyl Junkie Ft. Rachel Wallace – Can’t Go Back. Yet Clearly the fellas still think we need reminding that they are not dead, hence the formulation of this epic album of baselines, there's even a cheeky little free track included here too! Drum n Bass pioneer Sigma has also graced us with a fresh new track this month! Expect old skool jungle bass and breaks and some quality remixing support from DECiBEL and Ray Foxx!